The title page of the Koszalin Chronicle by Johann David Wendland - the first chronicle of Koszalin. 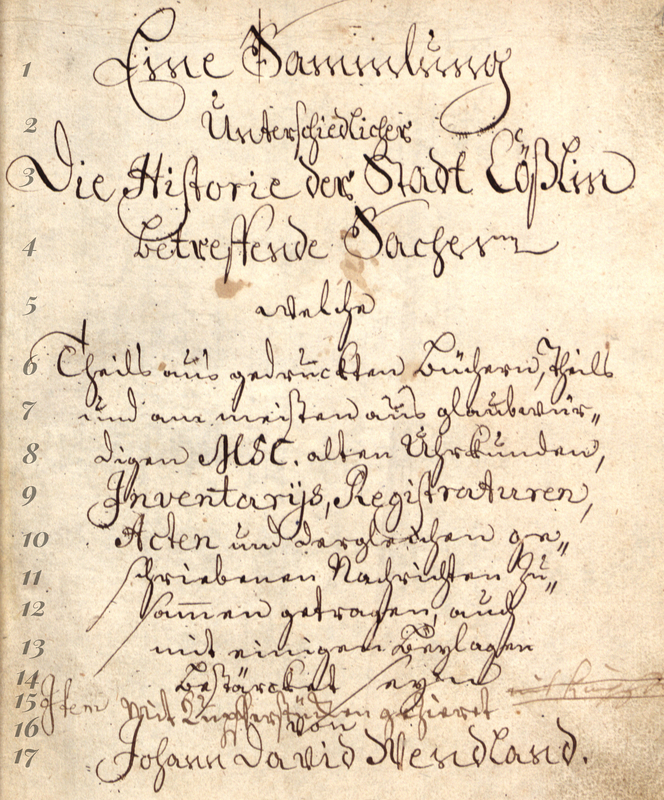 The book contains information regarding things such as establishing a city, its privileges, the people important in its history, the church, hospitals or rare events (e.g. about a monstrous lamb). The document comes from the State Archives in Koszalin. A game prepared for the reading workshop (Koszalin, 15 June 2017).